I am not a big Halloween card person but this stamp spoke to me for this card! 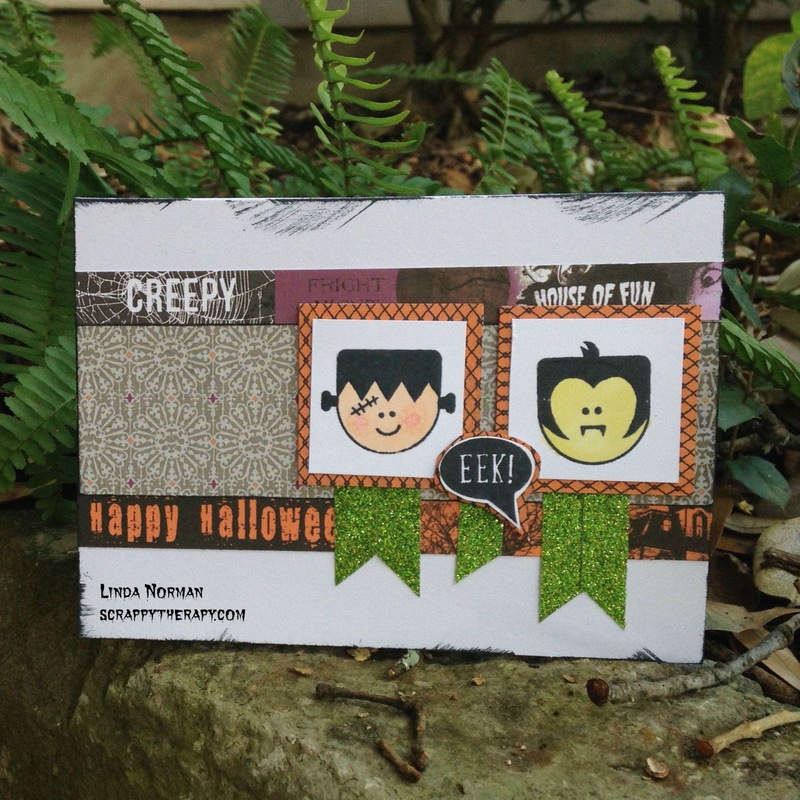 So with a little fiddling and a witch left on my table, this fun card was created! It is sort of mirror image because of where the words fell from my zip strip off the Nevermore paper which is where all the paper came from! 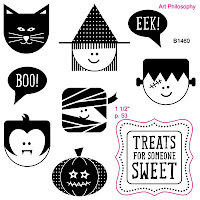 I used the Trick or Treat Sweets stamp set and stamped it with our new Momento Black Ink which works great with our ShinHan Markers that I colored the images with! 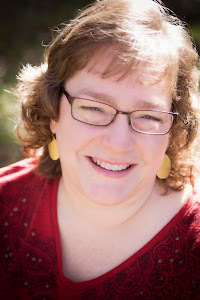 As the final touch Green Shimmer Trim was used to make banners under the stamped images. 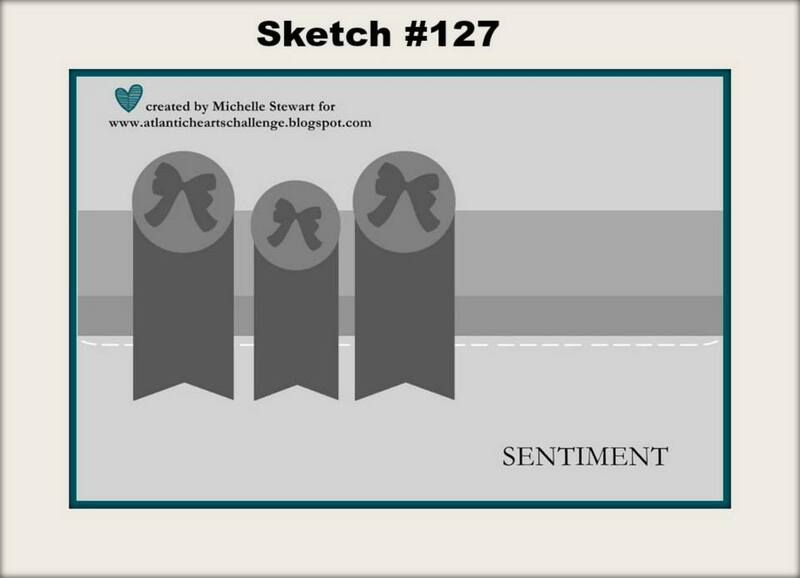 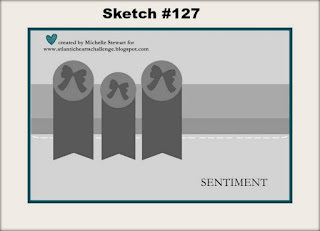 Please join us and share your version of the Atlantic Hearts Sketch Challenge!